When my mother was alive I was not much emotionally attached to her. I came closer to her when she was dead. Isn't it surprising? I was surprised at first, but not now. That's why this Mother's Day in India 2019, I want to share my beautiful relationship with my mom's soul. Well, before that, let me tell you that this special day is on May 12 this year. It's a Sunday, so you have all the time in the world to make your mother feel special. Also, no excuses of "no time" for people who are too busy to pay attention to their mothers. Before I continue with my experience, let me hit you with the truth: Mother's Day in India is still not a big deal. Half of the population does not even know that such a day exists. The other half of the population, who knows about this day, features a variety of people. Some just let the day pass. Some don't have mothers on the Earth. 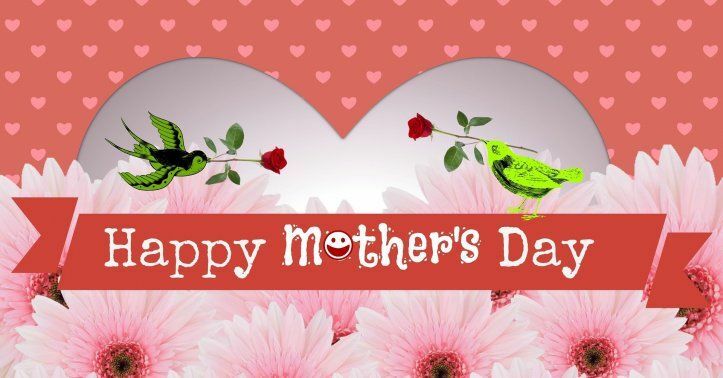 Some make their mothers feel special whole year so they need no particular day for this. And the rest of the tiny population does all the amazing things on Mother's Day in India 2019. I was angry with my mother since my teenage years. She did not let me pursue my dreams. At that time, I hated her. Now I realize that she did not do this intentionally. She was not my enemy. Her own fears and doubts came in the way. It was not she who spoke to me when she used to say, "It is a bad world," "You will get spoiled," "You will fail," "This is impossible," and so on. This was her fears speaking. She also used to hammer me with "You are not determined enough..." and blah, blah. My subconscious mind took it all, word by word. This was her own frustration speaking. We let out whatever is inside us. If we have love, courage, and happiness, we will speak lovingly, encourage others, and spread joy. If we have hatred, fear, and sadness, we will speak in anger, discourage others, and spread negativity. Her attitude suffocated me. I felt trapped at home. After completing my education, I did not return home but came directly to my destination city where I created my career as a writer. I used to visit home as a guest from then on. I lost the bond with my mother in these years. Yes, I respected her because she was my mother - the medium to transfer my soul to Earth in physical form. I also admired her as the person she was. Oh yes, I always bought her a card on Mother's Day. In fact, I used to make a card for her myself. Hurt - this one emotion connected me to my mother. I was hurt when she dominated me and strangled my dreams. I blamed her. I was also hurt when my father passed away and my mother plummeted into depression. I did not want to see her in this condition. This time, I blamed God. I had empathy for her when she was on dialysis. I felt bad seeing her suffer from kidney disease and depression. I donated her my kidney because I could not let her die just because there was no donor. Yet, our bond of love never strengthened. In fact, I became more distant to her day by day. Eventually, I had no emotions left when she was diagnosed with throat cancer. Yes, this is my confession for Mother's Day in India 2019: I did not care for my mother as a daughter. I cared for her as one person cares for another. That's it. I could have done better. Guilt was the dominating emotion after my mother passed away because I had left her amidst her suffering and returned to my career city. I could have stayed. But, today I realize that what I did was right. Even my brother and his wife agree. Circumstances make us pick a choice. And whatever we choose, we must take responsibility of that. Today, as Mother's Day in India 2019 is approaching, I take responsibility of all the things I did and did not do. I could have fought and pursued my dreams. I did not. My choice. Now, I cease to blame my mother. I could have stayed back when her body was decaying and her soul was trapped inside this body (last stage of throat cancer). I did not. I chose to go. My brother was with her when she breathed her last. I was not meant to be with her at that time. There are certain things that are not meant to be and they don't happen. There are certain things that happen because they are meant to be. My mother haunted me in my dreams regularly after her demise. I can still remember those dreams - her horrible eyes, her decaying body, her hand extended towards me for help, she is sucked by a storm, and more. I talked to her. Said sorry. Blurted out everything that was in my heart. I felt lighter. She was listening, I knew. She is with me. She comes in my dreams and guides me. At times, I find white feathers in my room. I have started eating things that she loved. For example, "Gol Gappa." I never liked this snack. It was my mom's favorite. Now, I get a craving to eat it and I do. She used to love wearing bunches of bangles at a time in both arms. Now I do it and I like wearing bangles. I have changed. It seems that my mother is doing things that she could not through me. She is protecting me. There are a few instances that made me realize that she is keeping me safe. I have hung a photo of my mother and father in my studio apartment. I do their "pooja" (worship) every morning and evening. My mother's soul is with me now. My plan for Mother's Day in India 2019 is that I will spend some time alone and chat with her. For those who have mothers on the Earth: Spend this special day with your mother. It is not necessary to arrange something big. Just be with her. Thank You Shipra for this wonderul piece of writing. Such a beautiful soul you are. I got goosebumps while reading. For me each day is mothers day.